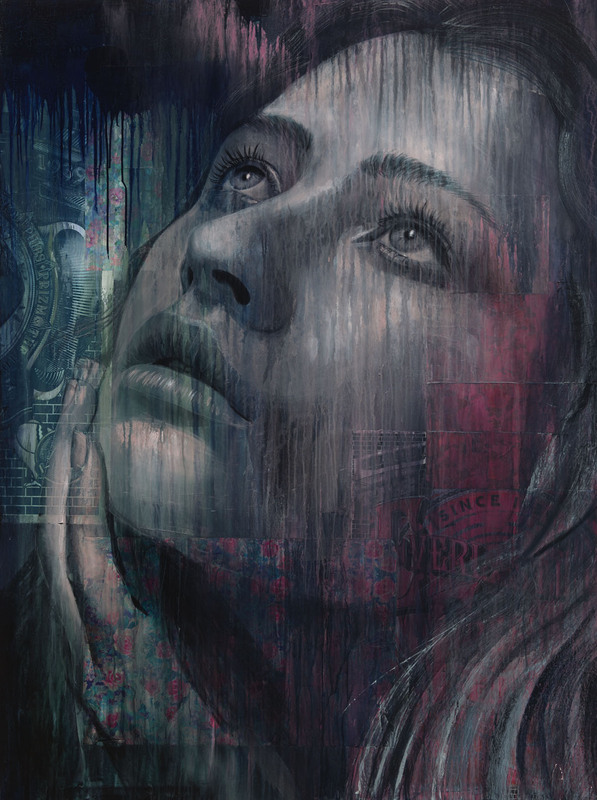 Australian street artist Rone has been coloring the streets of the world with his signature style since the early 2000’s… long before other street artists like Banksy were household names. 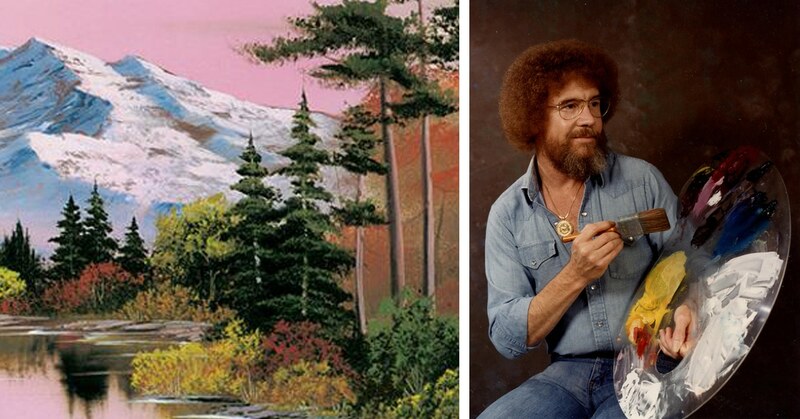 The fact that he has a fairly extensive Wikipedia page attests to this fact. 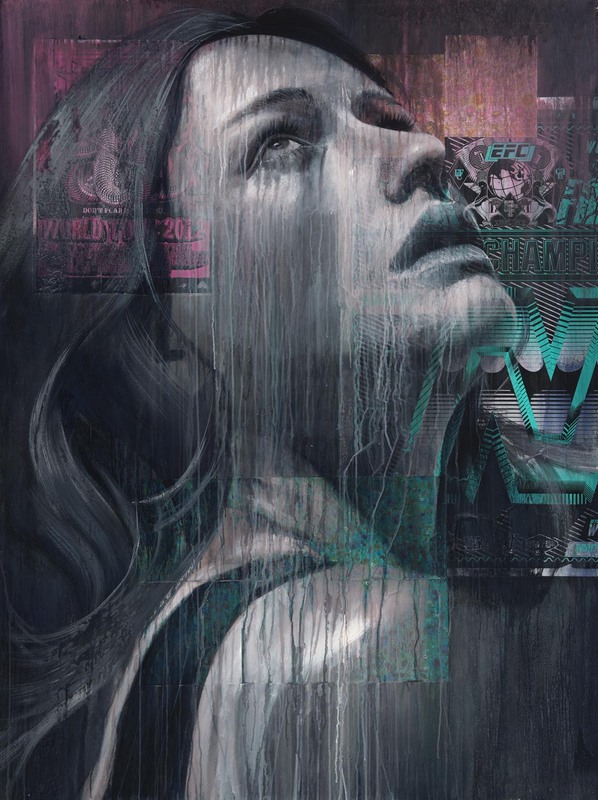 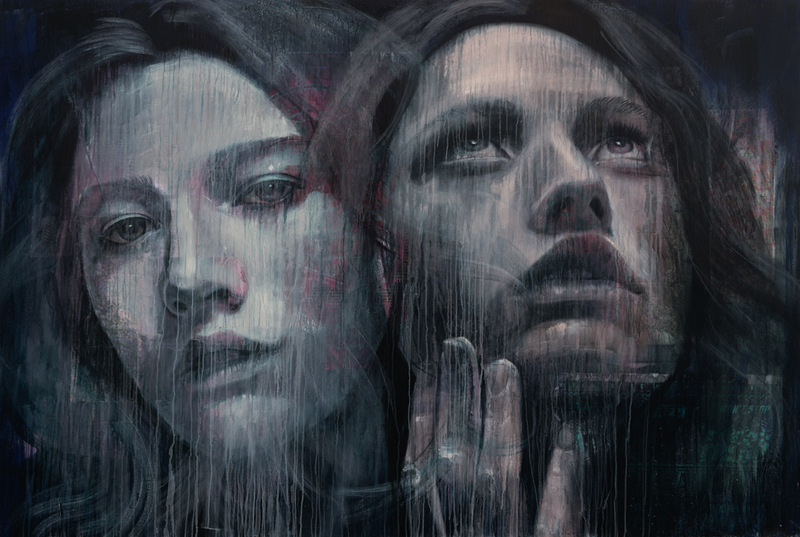 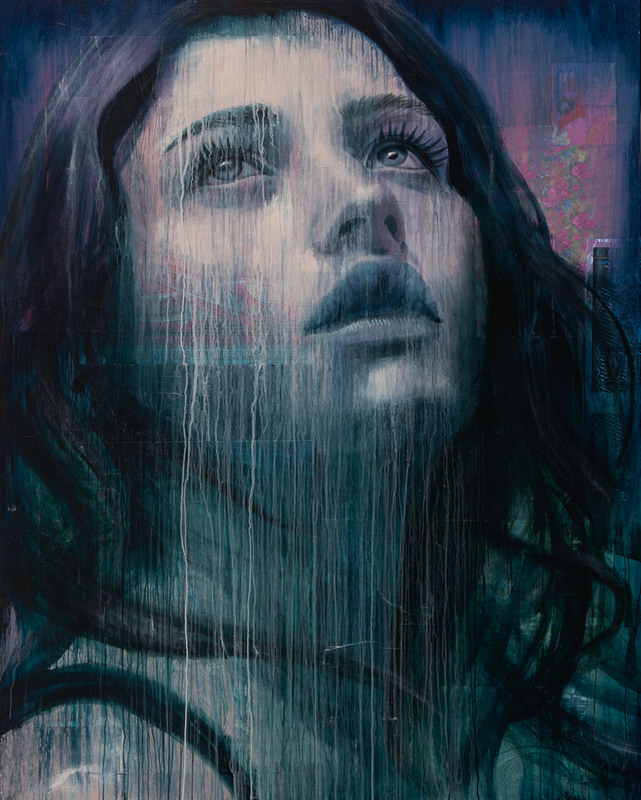 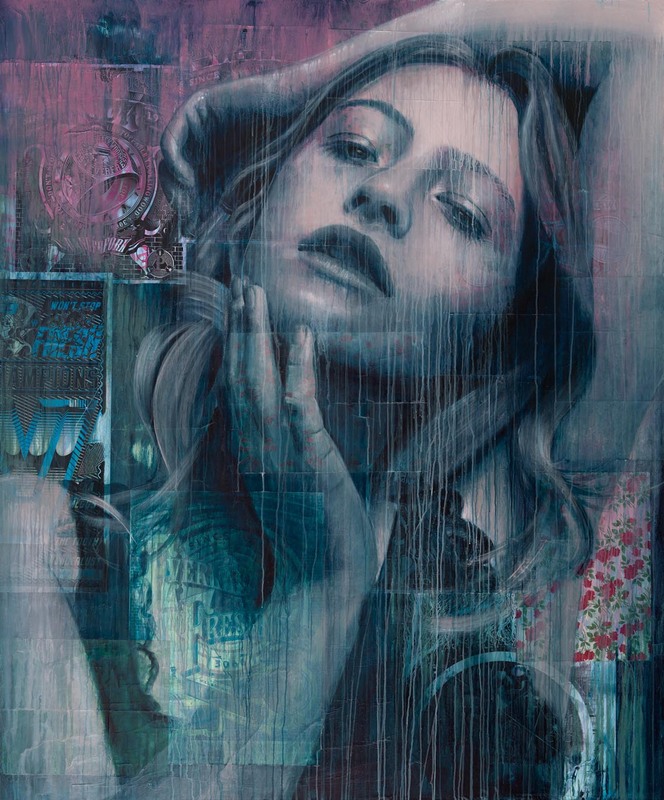 Famous for his sumptuous paintings of glamorous women, in particular an often recurring image of his so-called Jane Doe, Rone’s work attempts to locate the friction point between beauty and decay, the lavish and despoiled, creating an iconic form of urban art with a strongly emotional bent. 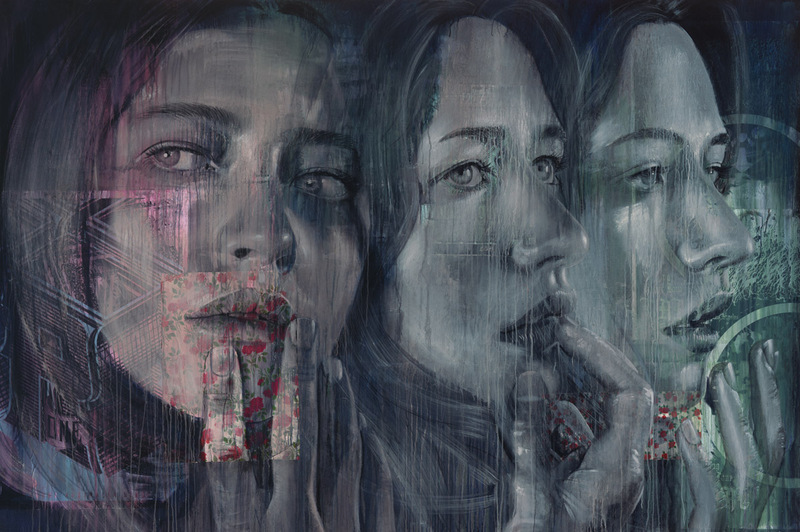 Rone’s latest exhibition, entitled “Lumen”, includes eleven large-scale portraits inside and outside of the gallery and a twelve metre high mural on the building’s adjoining ventilation tower. 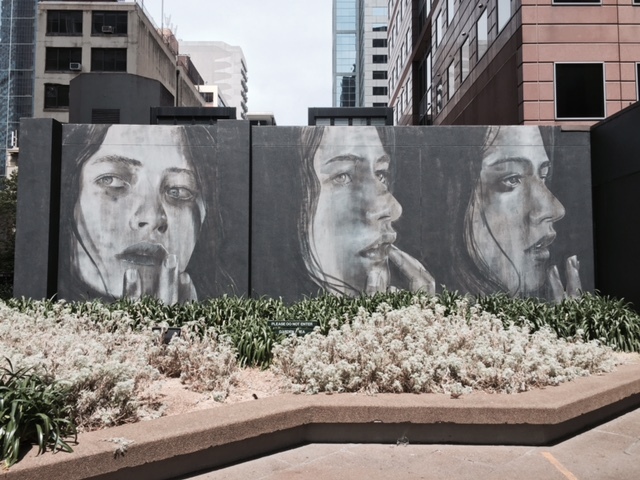 The space itself – an abandoned office building slated for demolition – has been transformed into a black (and blank) canvas. 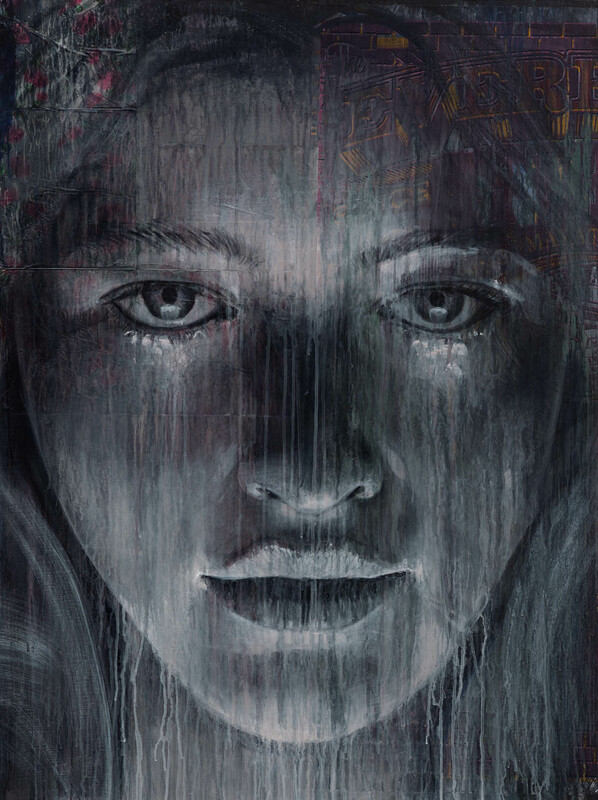 The model used in this exhibition is New York based Teresa Oman, who bares a striking resemblance to actress Jennifer Lawrence in several of Rone’s images. 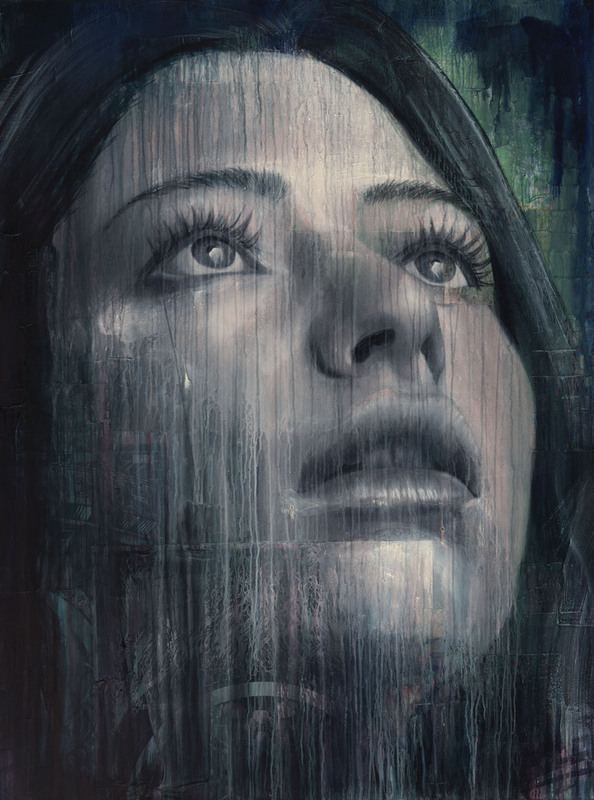 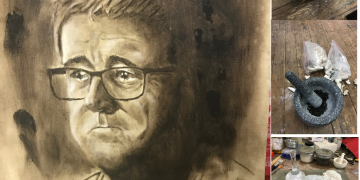 If you’re after an original Rone for your wall you’re out of luck, however, as the entire exhibition sold out many days before the show even opened. 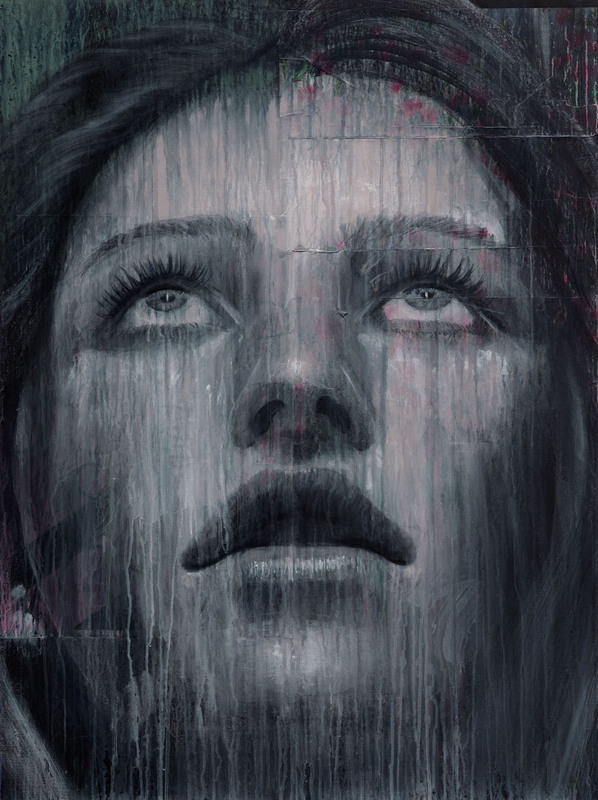 It’s definitely still worth a look, and we highly recommend it. 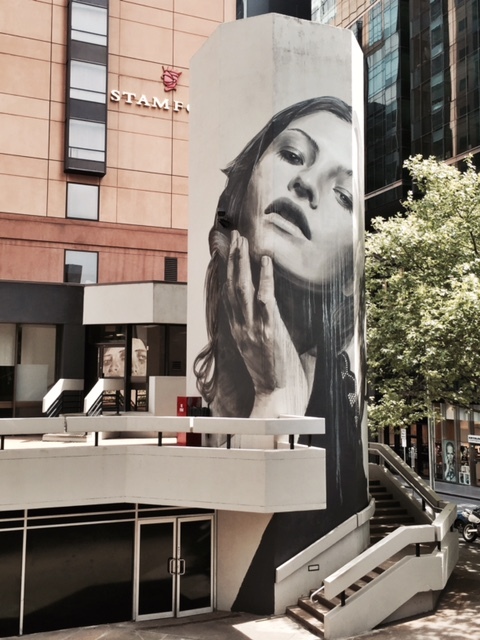 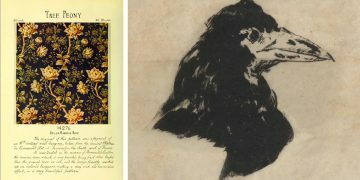 The exhibition runs through to November 9, 2014 at Level 1: 109 Little Collins Street, Melbourne (Opening hours Thurs – Sun 11am-5pm).